Just south of Downtown Laguna Beach, sits a middling building, resting behind neatly manicured bamboo plants. Located in the rear of an unexpected parking lot on PCH, some out-of-towners might pass by the contemporary structure without a second glance. Locals knew it as Hush, a restaurant with a modish feel, candlelit ambience, and an impeccable décor. Despite the seemingly notable semblance and animated dance floor, in September 2010, Hush was shutdown after seven years of shaking martinis. Who’s stepping up to fill the space? 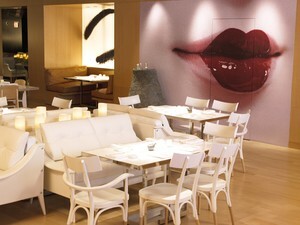 Katsuya by Starck. There are other successful Katsuya resturaunt locations in Los Angeles, but this will be the first in Orange County. From Zagat fave Tabu Grill to the frisky atmosphere of Blue Laguna, Laguna Beach is a mixed bag of culinary destinations and nightlife adventures. Following suit with other Los Angeles locations, the Laguna Beach restaurant is a collaboration between Master Sushi Chef Katsuya Uechi and designer Philippe Starck. According to its parent company, SBE Restaurant Group, the Japanese restaurant will have bento box-inspired surroundings and backlit images of Geishas. There is no doubt Katsuya’s swanky reputation has preceded its opening in Orange County. The city of Laguna Beach just might be the perfect place for Katsuya by Starck to survive. The Orange County spot was originally scheduled to open this month, June 2011, but SBE Restaurant Group hasn’t set an opening date. Instead they stick to a generic “Coming this summer” on their website.